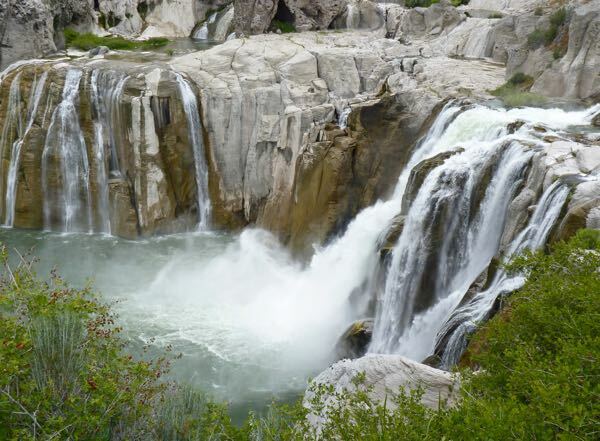 Often called the “Niagara of the West”, Shoshone Falls was a ‘must see’. 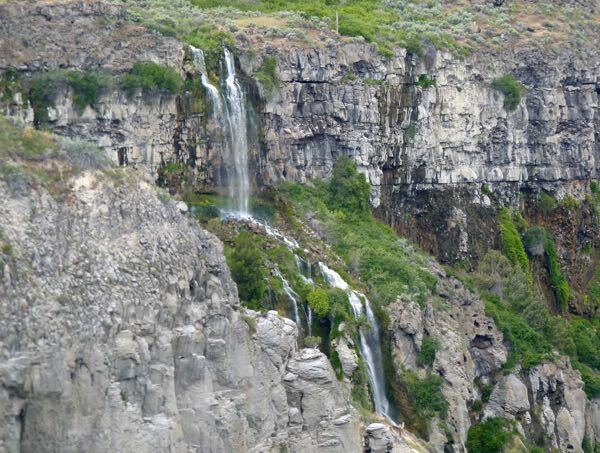 The road descended into the Snake River Canyon to a park and viewpoint adjacent to the falls. There was also another area with a lake that had a beach and hiking trails. Late spring was supposed to be the best time for maximum flow, which is when I was there. However, they were doing work on the dam and facilities. So, I think they had restricted the flow somewhat upstream. It was still fairly impressive; although I was disappointed in not getting to see some raging waters. 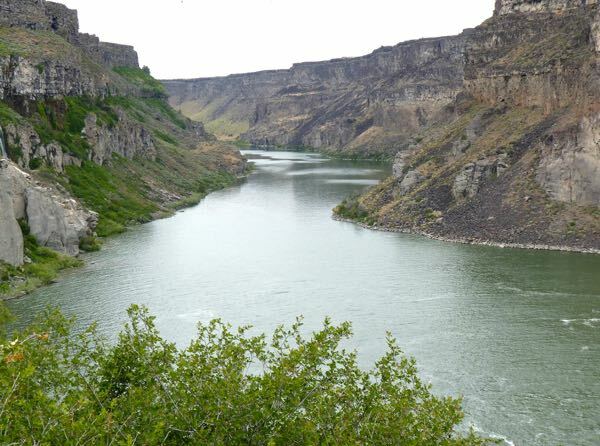 The Snake River gorge, around the falls, was also impressive. 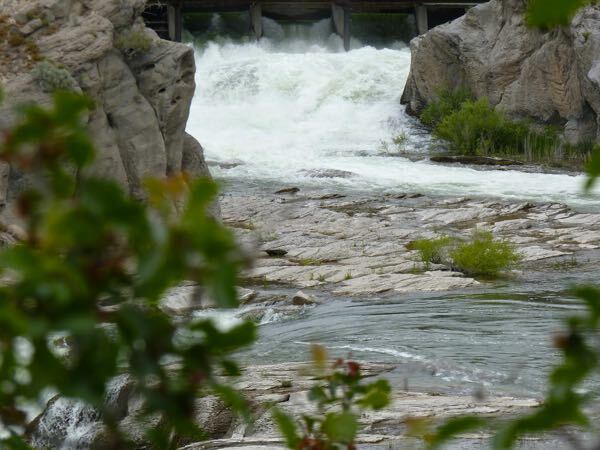 Massive cliffs and some narrow falls streaming down added to the majesty of the canyon at Shoshone Falls. Great views up or down the canyon. 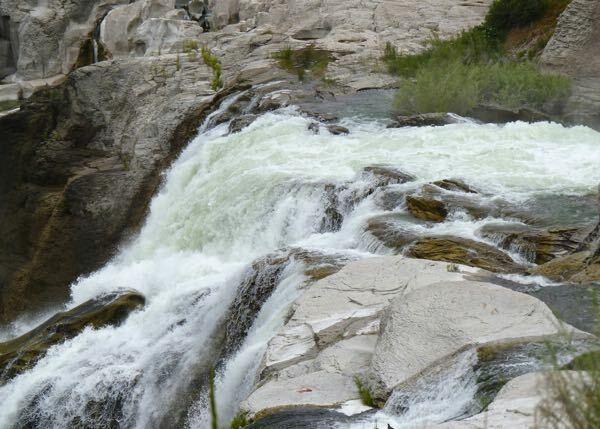 A bonus was down river a few miles to see Perrine Falls. It was a single drop from the canyon edge straight down. There was no official viewpoint; just a small pull-off along the road that went to a city park and golf course. Construction at Shoshone Falls is supposed to be completed in late 2016; so, a return visit earlier in the season might be worth the trip. 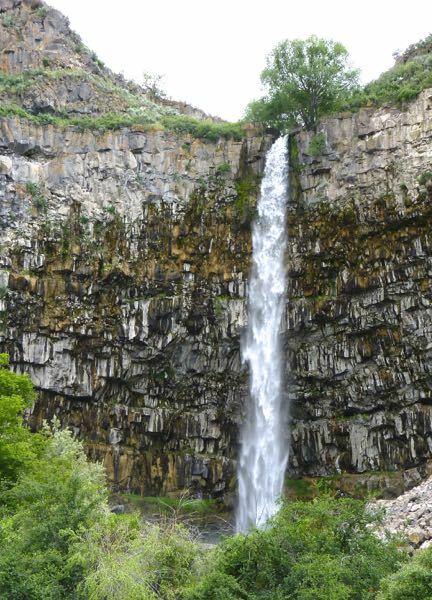 Even without roaring torrents I was still glad I got to see the falls.